It is our hope that trainees leave the Pacific Desk with an greater knowledge, skills and abilities regarding regional weather forecast processes, networks and available resources. Trainees will become knowledgeable about observational and forecast tools and systems within the region and are encouraged to exercise their enhanced knowledge, skills and abilities when they return to their host countries and institutional environments. Participants are required to work with their Office/Ministry/Department of Foreign Affairs or High Commission to process their US entry visa. The Pacific Desk will provide support documentation for those who require a visa to travel to the United States. Must be a citizen of one of the following Pacific Island Countries: Cook Islands, Federated States of Micronesia, Fiji, French Polynesia, Kiribati, Marshall Islands, Nauru, New Caledonia, Niue, Palau, Papua New Guinea, Samoa, Solomon Islands, Tokelau, Tonga, Tuvalu, Vanuatu, Wallis and Futuna. Must have some training and experience in weather observation. 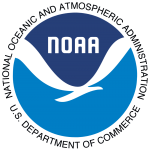 If you are accepted into the program, the Pacific Desk, with funding support from the National Oceanic and Atmospheric Administration/National Weather Service International Activities Office will fund the costs associated with your travel. It will also fund all costs associated with delivering and administering the program. You must submit the documents below to apply for the program. Nomination Letter or Email from Supervisor – Your Government/Manager/Supervisor plays a critical role in ensuring you have time to complete assignments and support to attend the training. The participant must be nominated to attend the Pacific Desk On-Site Training Program. The participant obtains an official letter or email from their supervisor or manager confirming their nomination to attend the Pacific Desk Training. Curriculum Vitae or Resume – Submit a resume that includes your formal education, professional positions and other applicable activities. Make sure to include your complete contact information with current mailing address, telephone numbers and email address. Use a format of your choice but do not exceed two pages. Personal Biography – Provide a brief (half page, single spaced) personal biography that is suitable for public release. Passport or Travel Document – Provide a copy of your current valid passport. The admission screening will consist of representatives from the Pacific Desk. The final selection team will be comprised of representatives from the Pacific Desk, NOAA/NWS and other partnering organizations. The team will strive to create a cohort that appropriately represents the governments, technical areas, gender and ethnicity. You will be notified of your admission status via email. Submission email or fax cover page should be titled “Pacific Desk Application”.